This is my latest book - published in the UK on September 6 2018. "It was my good luck – and the world’s – that Alan Rusbridger was the Guardian’s editor when powerful governments tried to prevent the paper from revealing that they had deceived and disempowered their citizens. Alan is a fearless defender of the public interest who has had a singular career in journalism. 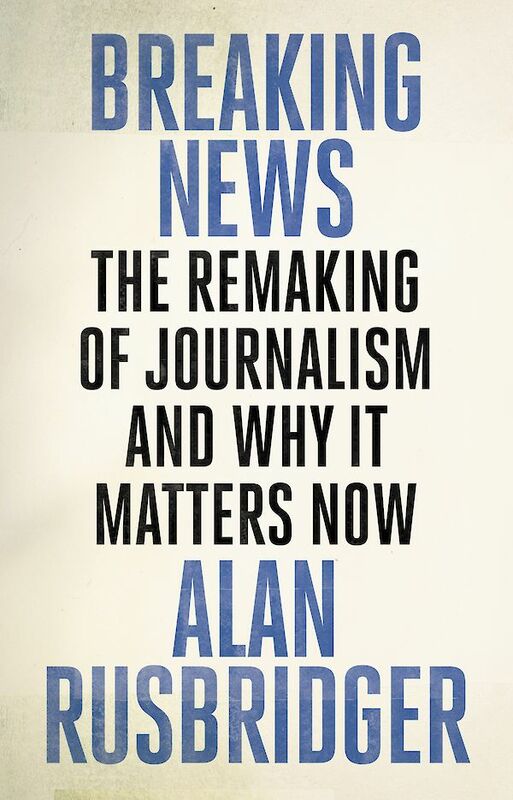 His book is an urgent reminder that there is still a place for real journalism -- indeed, our democracies depend on it." Breaking News will be published in the US early December 2018. German edition coming soon.